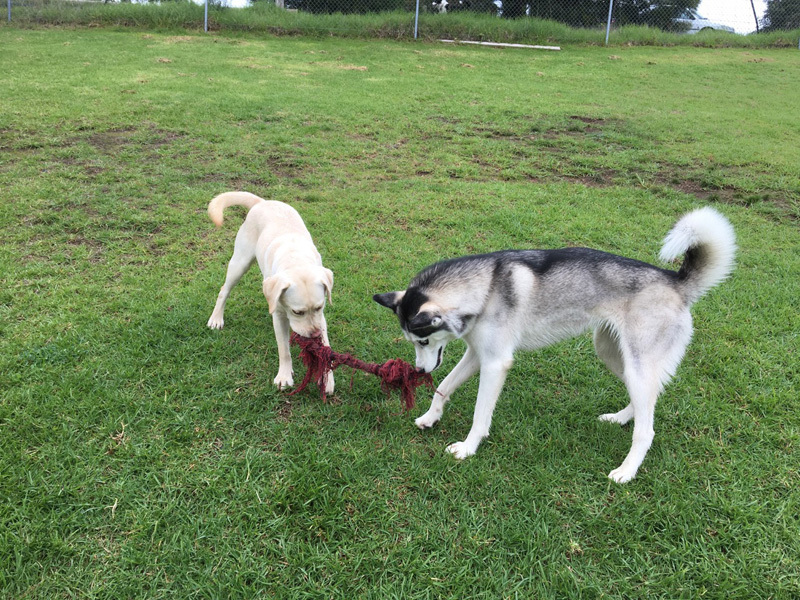 Mark & Karen Tung and their family have owned and operate Kybrooke Pet Resort since 2006. We live on the Kybrooke property and consider where we live to be absolutely picturesque, tranquil and relaxing. One of our customers said to us the mind is relaxed & peaceful if you can see far into the distance. How true this is- our views are magnificent! Our association with animals began for both of us at a very early age, with both of our parents and families involved with showing dogs & our own pet animals. Both of us have been involved in showing, obedience and agility with our own dogs, worked extensively with cats and enjoyed other activities such as horse ownership, bird ownership, showing cattle and working on farms. Our enjoyment of animals is evident in the passion and enthusiasm that we show in our work & the pride we both have for Kybrooke. We are members of the Victorian Canine Association which keeps us up to date with local dog matters. Also members of PIAA (Pet Industry Association of Australia) which involves a code of conduct/best practices for continued membership. We attend the annual Ausboard conference which keeps us up to date with local, interstate and international boarding kennels & cattery industry standards and visions . We are more than dog people who decided it was a good idea to take care of peoples pets for a living, we are animal lovers who have been professionally employed in roles that entail customer service, attention to detail, professionalism and accuracy. All these skills are bought together to give your pet the best holiday possible and to give you peace of mind that they are ok while you enjoy your time away. is a “pin up boy”.